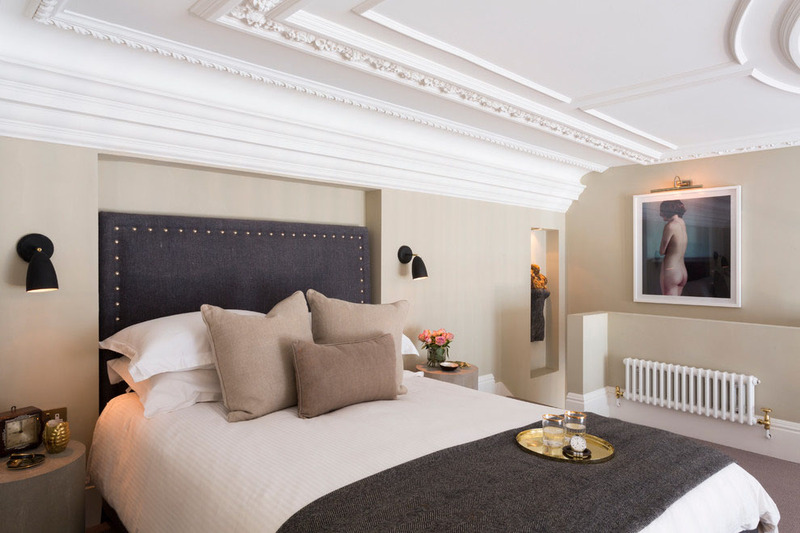 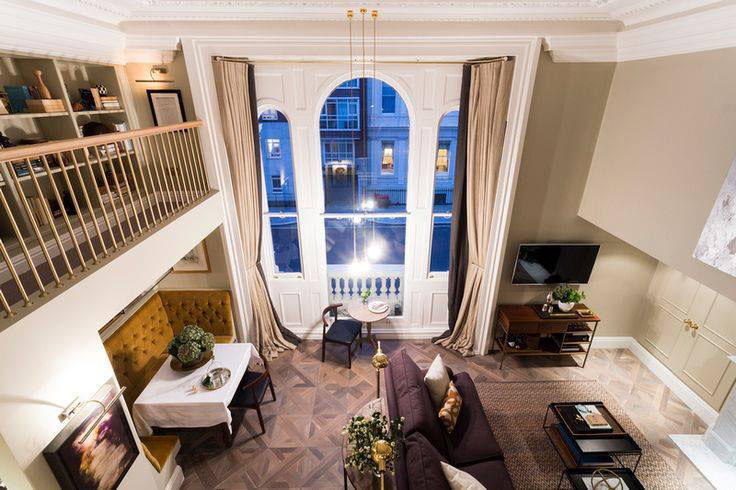 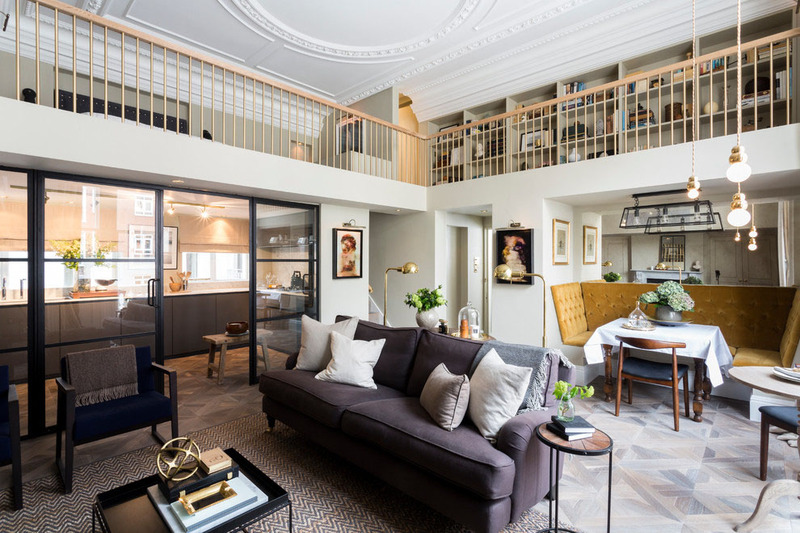 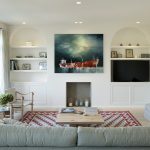 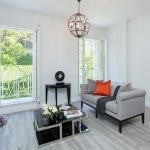 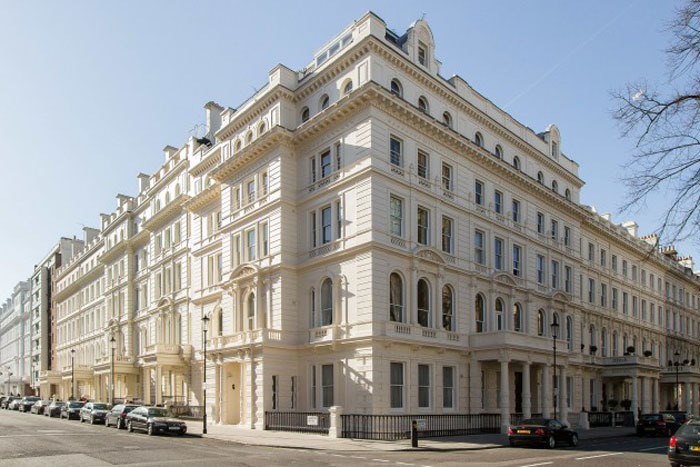 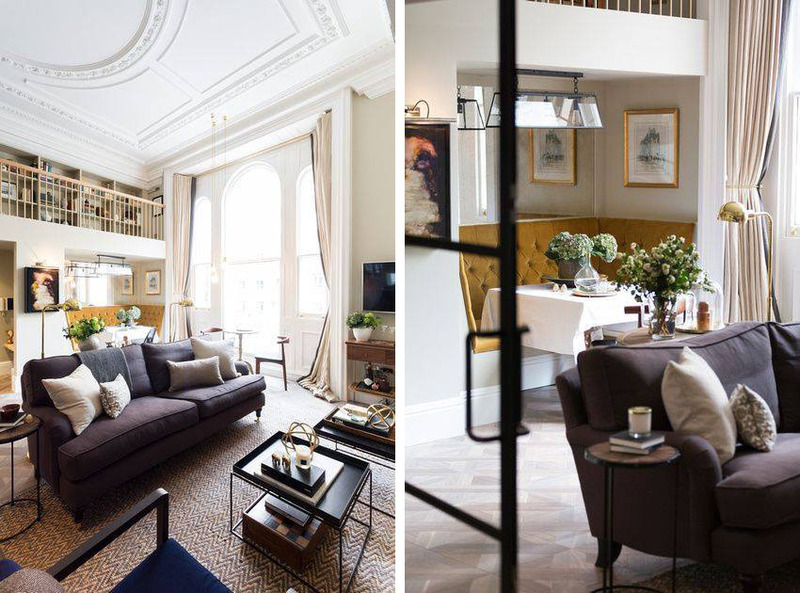 This sophisticated and contemporary loft apartment located at Lancaster Gate Grade II listed 19th-century building in London, England was extensively refurbished by Banda Property. 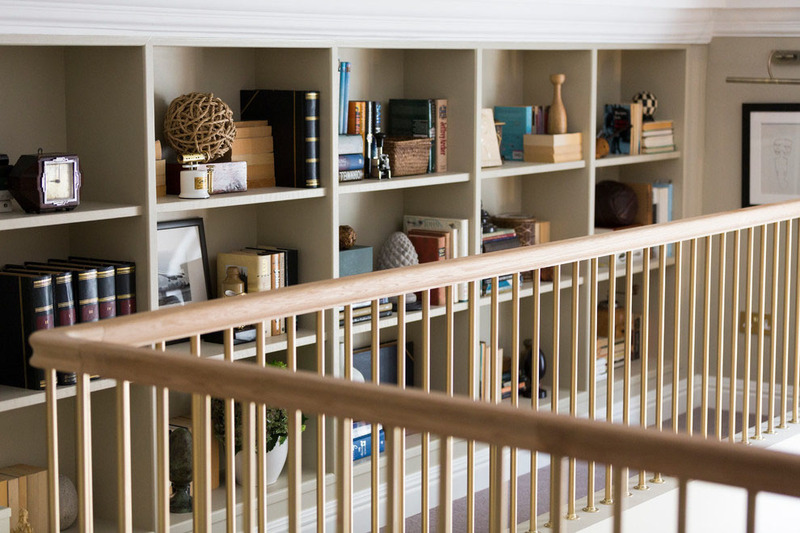 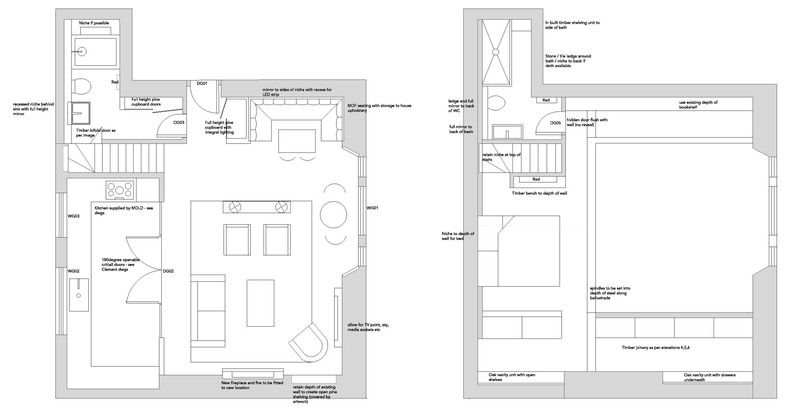 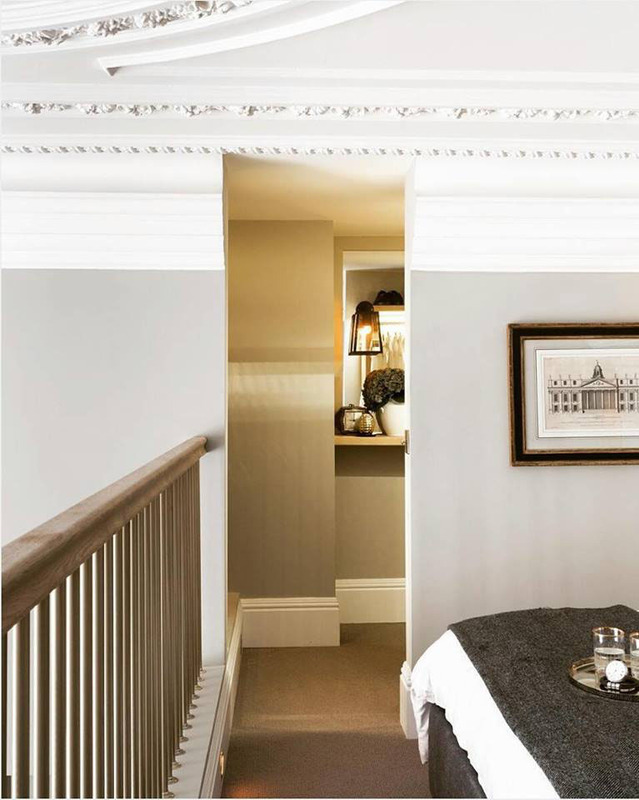 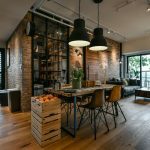 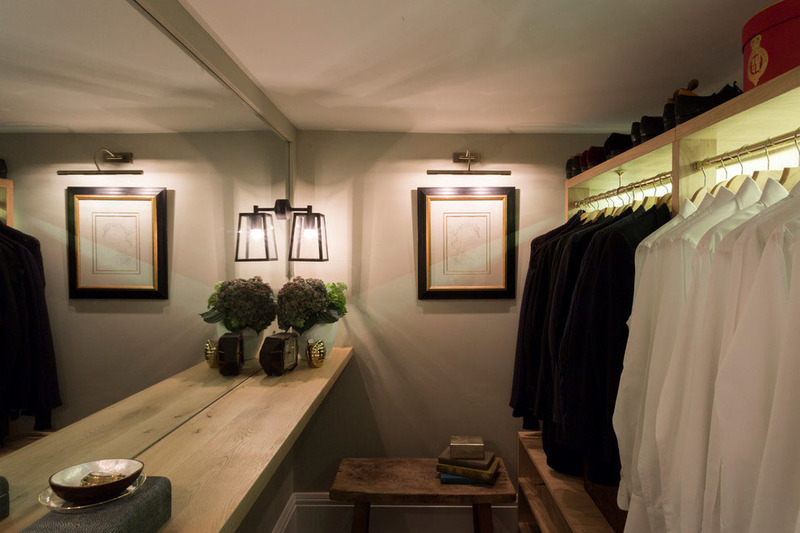 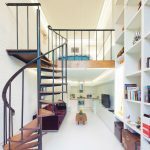 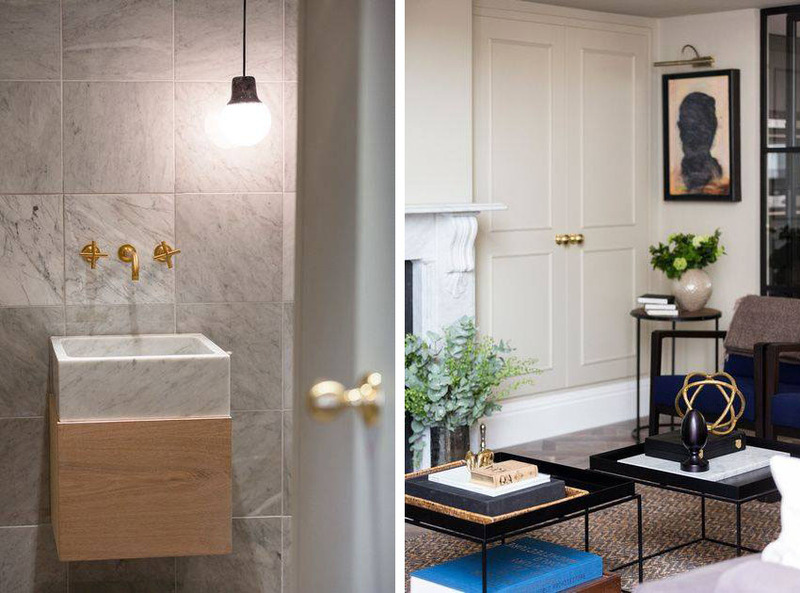 The renovation included installing a mezzanine floor with an open corridor that connects the bedroom, dressing room, en-suite bathroom and a library with handmade oak shelving. 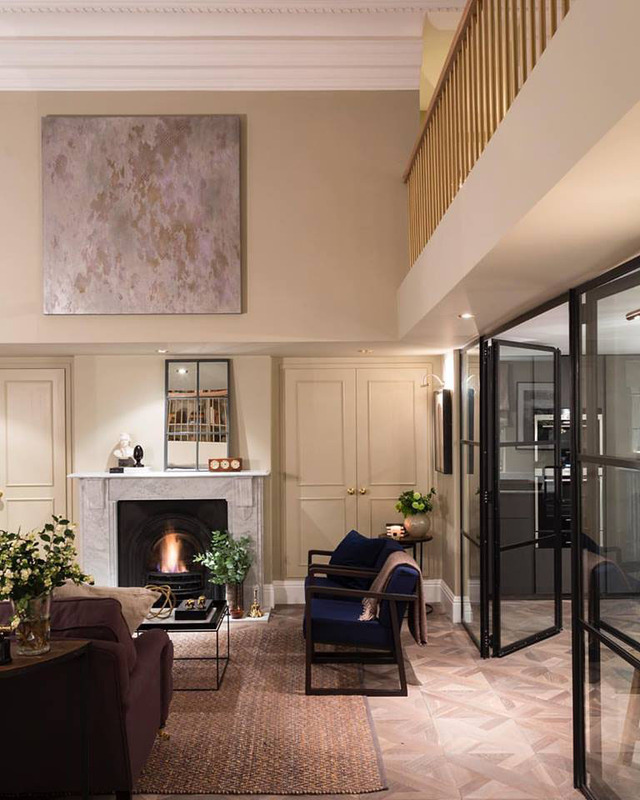 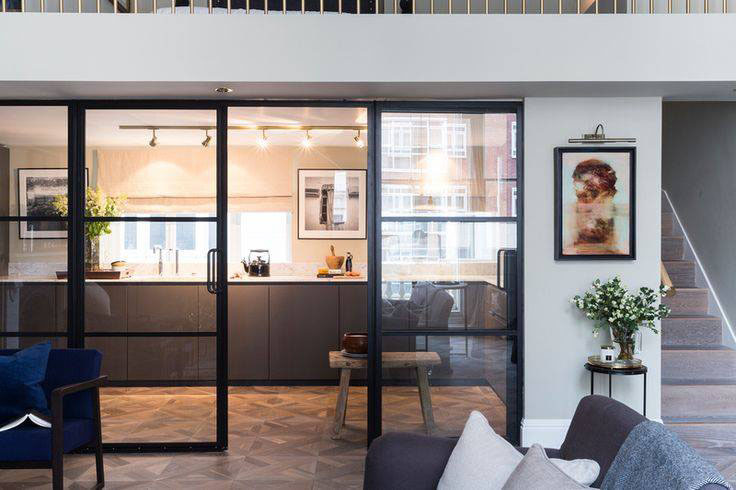 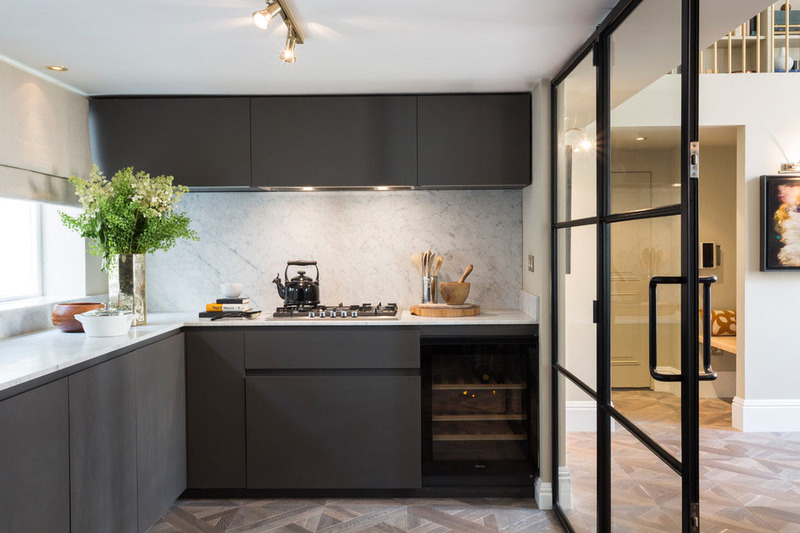 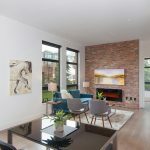 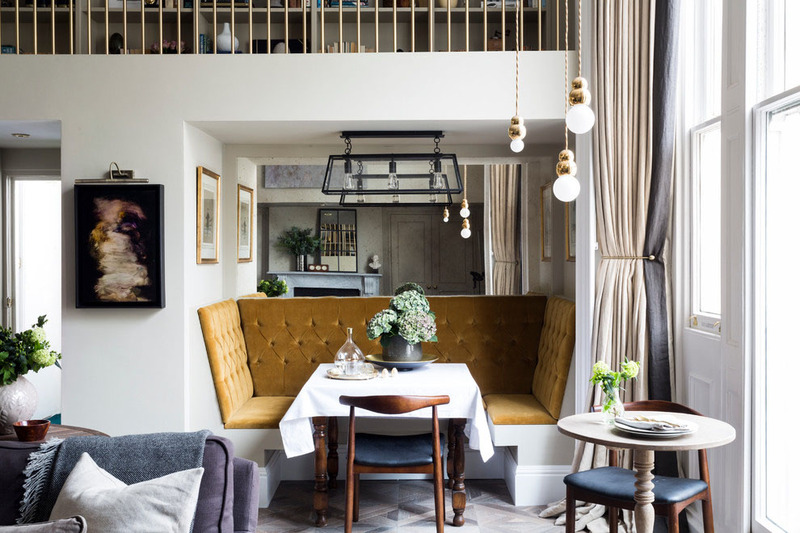 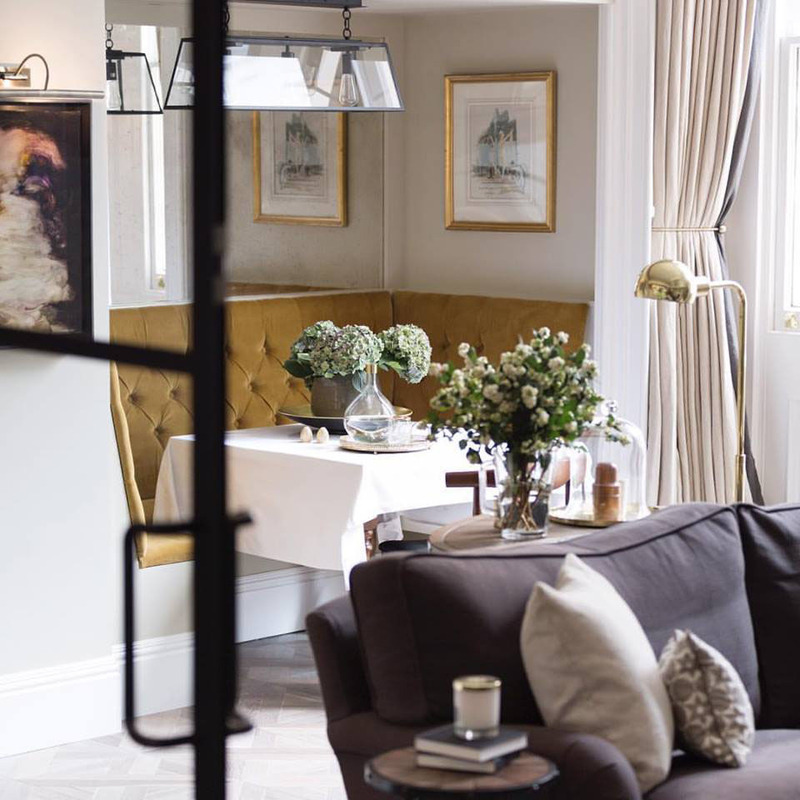 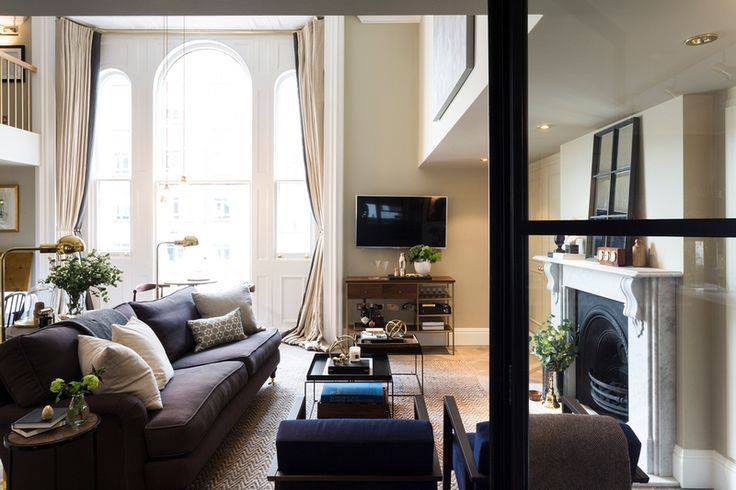 Elegant decorative elements such as bespoke banquette seating, custom-made Versailles oak flooring and distinctive Crittall doors provide a stunning division between the kitchen and living area, and enhances the apartment’s sense of space.